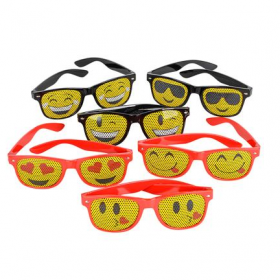 This collection of novelty sunglasses features a variety of emoticon prints. An emoticon is a symbol of emotion designed to ascribe tone and tenor to a text or social media post. For ages 5+. 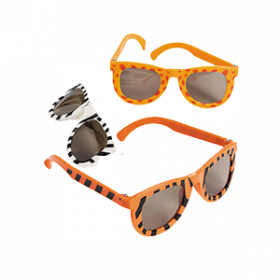 These animal print sunglasses are a great fashion accessory on a safari or a day at the zoo. There's nothing like putting on a pair of awesome Aviator Sunglasses to show off a super cool style and a worldly look! A great prop for your next party or play! 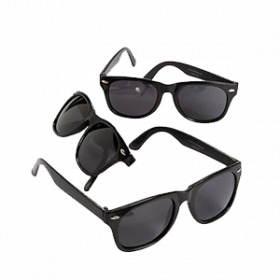 These plastic sunglasses have classic style! 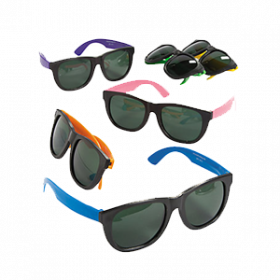 Whether wanting to look like a spy incognito or look cool on a warm summer day, these glasses are perfect for a variety of costumes or for a spy-themed birthday party. 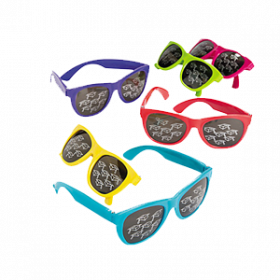 See the world in a new way with these plastic novelty shutter shade glasses! 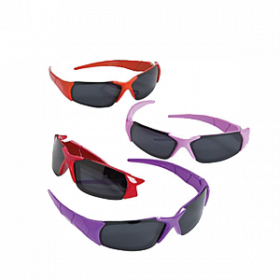 Kids will love the hi-tech style and dark-tinted lenses. 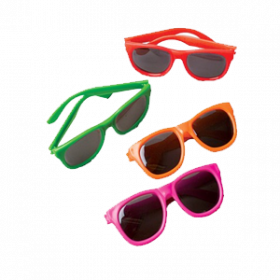 Use these bright color sunglasses as party favors or stick the in goody bags! 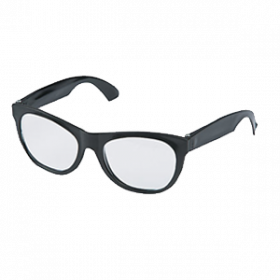 Need a pair of glasses for your next costume party or play? 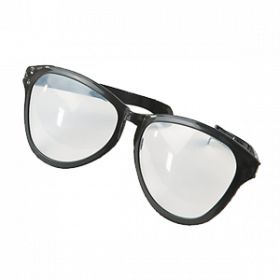 These glasses have clear lenses, but are just as fashionable as the real ones! 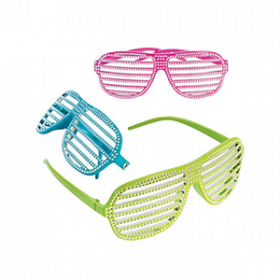 Shade the rays at your next spy-themed birthday party with these stylish neon sunglasses! A glowing slice of exquisite eyewear. 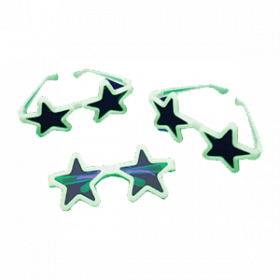 Gaze at the night time sky with these glow in the dark star sunglasses. 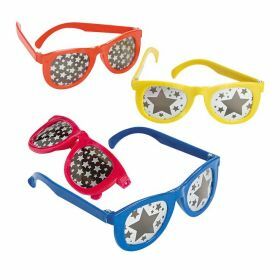 Perfect for your child's next slumber party, your young guests will feel like Hollywood stars with these star shaped glasses. 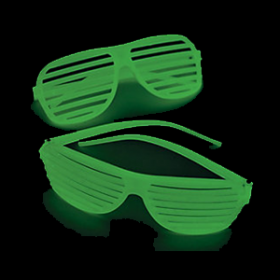 Perfect for a glow in the dark party, our GID Shutter Shade Glasses add a new level of fun to your party. 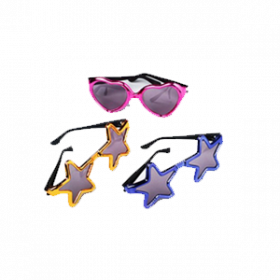 Bring some Hollywood style to your next summertime event with these metallic sunglasses. 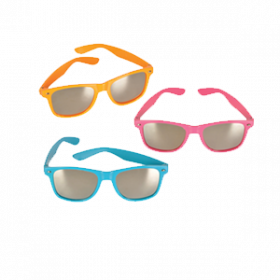 Keep cool during graduation with these fun giveaways! 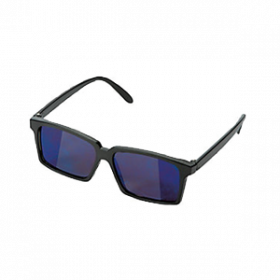 These cool shades have a mustache design printed across the lenses. 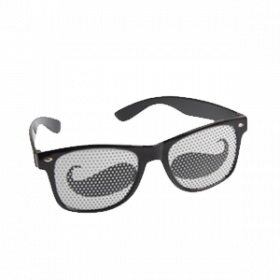 Keep a ‘stache of these fun frames handy! 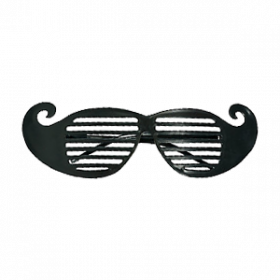 These plastic mustache shutter glasses are a fun way to stand out at a mustache bash or Movember rally. It’s a party prize of perfection with an emphasis on reflection. 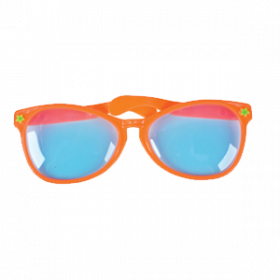 Work the runway with these neon fashion sunglasses. 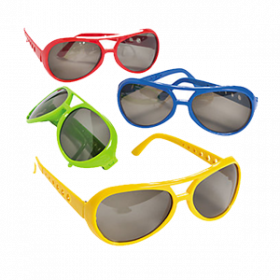 Perfectly sized for children, they will love to strut their stuff while modeling this brightly colored accessory. Eye-catching party favors designed to let the good times roll. 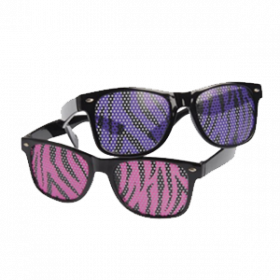 These cool shades have neon pink and purple zebra print on the lenses. Lenses are tinted and these are still functioning sunglasses. 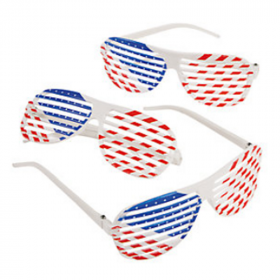 Turn up the fun at your 4th of July party with these Patriotic Shutter Shading Glasses. 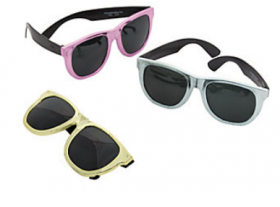 These stylish sunglasses not only block out the sun, but they're stylish too!